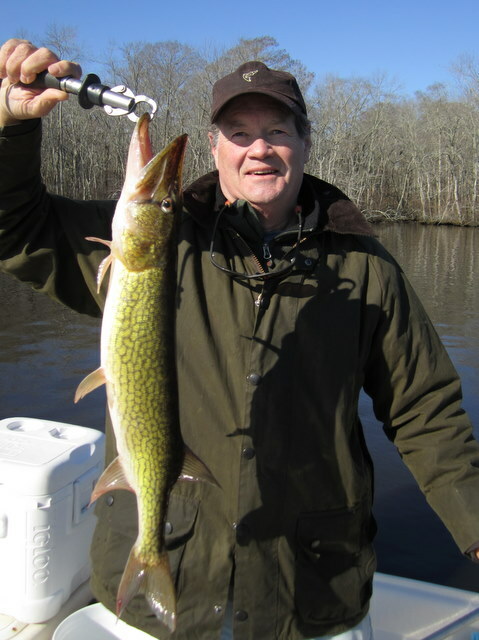 I have an opening for one angler to share the cost of a trip fishing the Pocomoke River for pickerel, crappie, yellow perch and bass. Your half of the cost will be $150 for the six-hour trip. Available dates are March 16, 23, or 30. Please contact me if your are interested at kjosenhans@aol.com, or by phone at 443-783-3271. If you can’t make this trip but would like to put together one of your own, please let me know. Thanks!